Yokohl School. 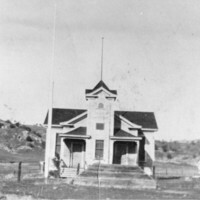 Yokohl School District was organized March 17, 1873. 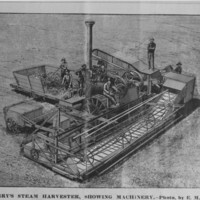 It consolidated with Exeter Auguat 20, 1920. The Mark Twain Tree was cut in 1891 and sent to American Museum of Natural History in New York. 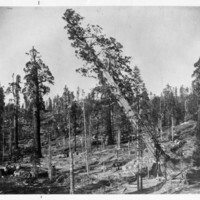 The stump is near the entrance to Grant Grove. 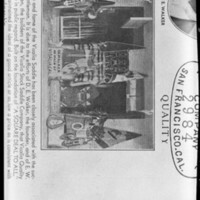 Photo of a catalog page advertising No. 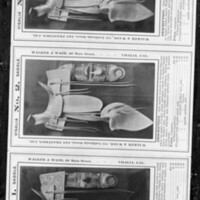 1, 2, and 3 Visalia Saddles. 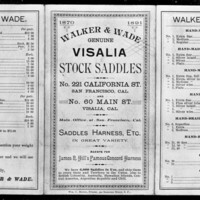 D. E. Walker first saddle shop located on 60 Main Street. 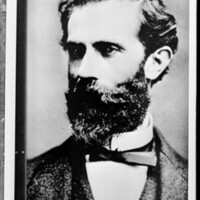 Elias Jacob was the first president of the Visalia Board of Trade and owned considerable property in Visalia including the Jacob Building(1876) as well as the Pioneer Store in Centerville, CA. 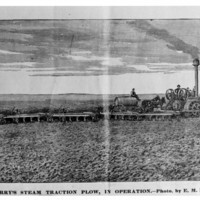 G. S. Berry's Steam Traction plow in operation pulling five plows. 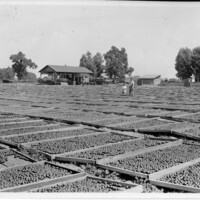 Fruit on Drying Trays, Mineral King Ranch, Visalia, Calif.
Fruit is dried on trays at the Mineral King Ranch, east of Visalia, CA, in the early 1920's. 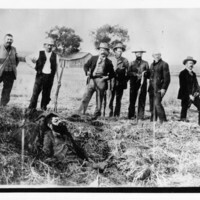 The ranch was near what later became Cutler Park, a Tulare County-owned park along the Saint John's River.